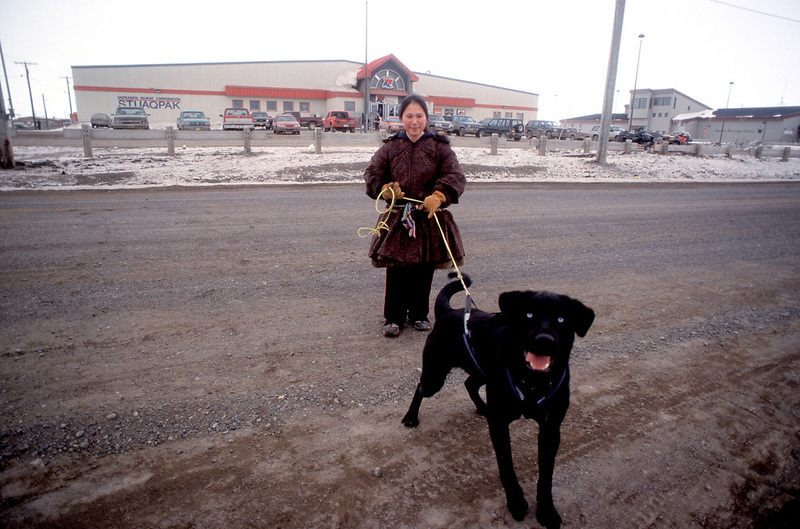 Fannie Hopson walking her labrador-husky mix dog, Killer. In spite of his name, Killer is a nice dog and got very scared with the click of my camera. Behind them is the store or Stuaqpak where you can buy mainly everything from four-wheelers or couches to lettuce and fabric.